In the ongoing support of all things South African Hockey, I have been searching for more like minded fans who were willing to pen their thoughts about a sport with a growing reputation. In this search I came across another Bianca B (Not the lady behind the brilliant “Pit Wall”) and you are now about to enjoy her first ever writing experience. Give her some encouragement in the comments below. The 27th World Student Games have just come to an end, in an otherwise very ordinary city of Kazan, Russia. From 6-17 July, students from universities across the world all gathered for 11 days of unadulterated high quality sporting competition. Athletes took part in 27 sporting codes, varying from chess to Seven’s Rugby. 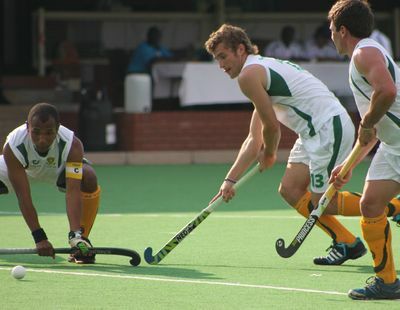 With the recent increase in televised hockey in South Africa, the interest in the sport is growing at a rapid rate. As such, there was no question as to whether or not South Africa would be sending a men’s team to compete. One of the few (if not only) sporting codes that did not have to go through the ordeal of draws for the games was hockey. The more conventional team sports, like soccer and basketball, are popular choices and had a huge number of countries wanting to send teams through to compete. As a result draws were done to get the final number of competing countries. This year was the first time that hockey was included as an optional sport. The response was not as overwhelming as with the other team sports and as a result any countries volunteering their hockey teams got automatic entry. Preparation for a tournament of this nature is incredibly difficult. Very little if any information would have been available on the players as well as the various teams. The bulk of specific match preparations could only be done whilst on tournament, once video analysis had been done on each opposition team. Much like the senior sides, the team travelled with two coaches, a video analyst, a manager and a physiotherapist. Coached by ex-Olympian,Darryn Gallagher, South Africa only sent a men’s team to the 2013 World Student Games. To be eligible for selection, players must currently be registered at one of the full time academic universities in South Africa. A squad of 60 players was selected after the Men’s under 21 IPT, held in Pretoria at the end of April this year. A training camp was held shortly after and a team of 18 players were selected. With one final 4-day training camp days before their departure, the South African University Lads and the rest of the South African athletes, left on the 1st July to take on the world. The team was certainly a very impressive one on paper, with the likes of Matthew Guise- Brown, Grant Glutz, Owen Mvimbi and Brandon Panther all having senior caps to their names. While Ross Gonsalves, Keagan Robinson and Brandon Panther were set to take to the turf in Russia, their brothers Nicholas Gonsalves, Jonty Robinson and Clinton Panther were donning the green and gold for the senior men’s side in Malaysia at The World Hockey League Semi Finals. With five days of pre-tournament training and settling into the athletes’ village, the Russian hosts put on a phenomenal three hour opening ceremony and with that, the 27th World Student Games had officially begun. When asked about the Opening Ceremony, Grant Glutz simply described it as “Incredible and just amazing”. The Athletes Village and general operations of the Games, was very similar to that of the Olympic Games. Athletes were treated like royalty and wanted for almost nothing. Arguably drawn in the seemingly easier of the two pools, South Africa started their campaign with a big match against Italy. Game 1 was a hard fought one ending in a 4 all draw, with Grant Glutz scoring a brace. Bitterly disappointed with the draw against the Italians, the SA Lads came out in full force in their second match of the tournament against Poland. With 2 cracking goals by Matthew Guise Brown and some incredible attacking play, the Polish fate was sealed with a 4-2 score line at the end of the game in South Africa’s favour. After 2 very long rest days, a very upbeat South African team ran out to take on the host nation Russia. Despite a valiant effort and 2 great goals by Owen Mvimbi, Russia beat South Africa with a convincing 4-2 defeat. Yet another rest day and the final pool match against Malaysia. Despite putting up an incredible fight and being the first on the score board, South Africa lost the nail biting match, 2-1, taking them out of the medal contention. One last day off to prepare and the 5th/6th place playoff was set between Korea and South Africa. 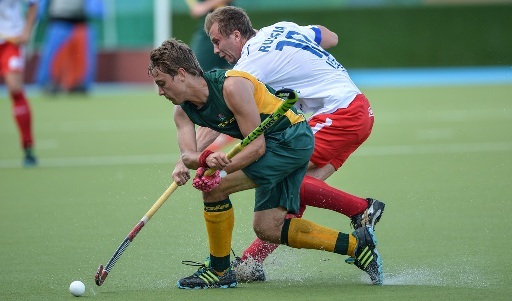 In a 7 goal thriller, it was Grant Glutz, who with minutes to spare, fired in the winning goal for South Africa. With a 4-3 win over Korea, South Africa took 5th place at their first World Student Games. Brandon Panther admits, “Before the tournament started, I think we all thought we were capable of coming home with a medal. We had some really tough results that didn’t go our way but we’re stoked with the 5th place finish. These Games have been one of the most incredible experiences of my life.” With minimal funding and training time together, the young men from South Africa did a great job to finish 5th out of 10, behind countries like France and Germany who took silver and gold respectively. Imagine what these Lads would have been capable of with a little more funding a quality time together as a unit. Surely one cannot help but feel that there is an incredibly bright and exciting future that lies ahead for men’s hockey in South Africa? Watch this space folks. Big things are yet to come from our South African men on the turf.